The “H” in Hilo stands for hospitality as that was what I received in abundance from all the teams and organizer Rick Frederick when I cooked the 2nd Hawaii State BBQ Championship in beautiful Hilo, Hawaii. 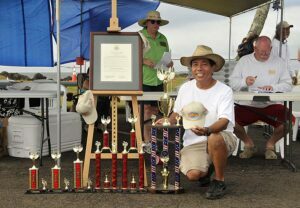 Slap Yo Daddy had a good day on Independence Day 2012 winning the GC amid 16 teams with 1st brisket, 1st pork, 2nd ribs, and 3rd chicken <Results>. Tim Lemon of Y B Legal BBQ who was all the way from Texas came in RC. I had first heard of the Hilo Bay BBQ in 2011 when it was in its first year and the first sanctioned BBQ contest in Hawaii. 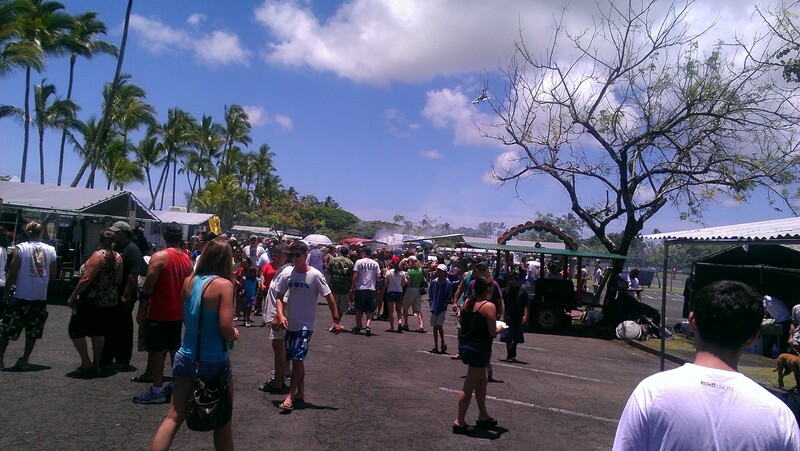 I said to myself, “cooking a BBQ contest in the island paradise of Hawaii, how cool is that!” I sent an email to Rick, the organizer from the Hawaiian Arts store and was delighted when he returned my email. It took several months of back and forth planning to sort out the logistics and Rick was very generous and gracious to purchase a WSM for me to use. Rick also arranged to get me a table, an igloo, and other needed equipment items. 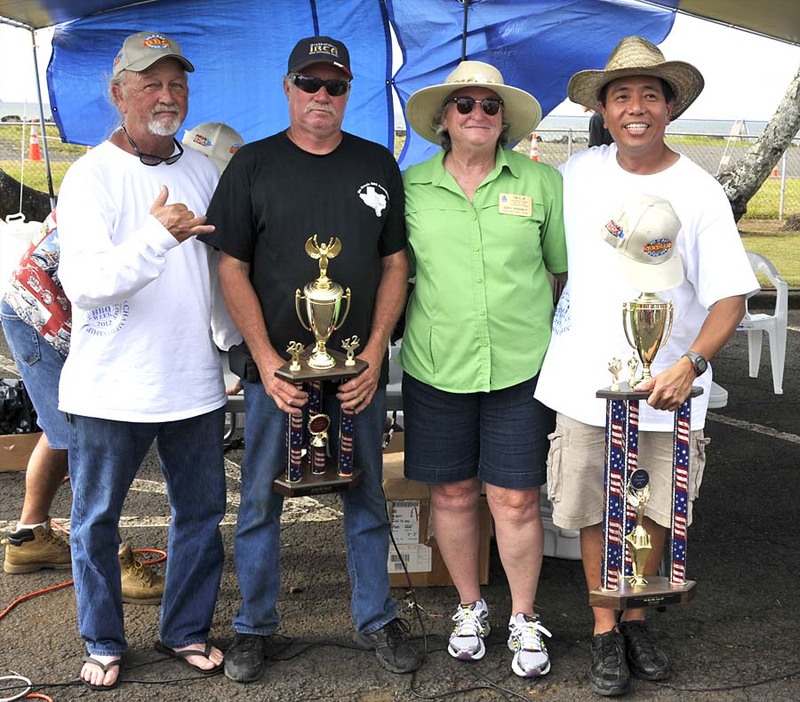 I cooked in the IBCA-judged poke and chili contest the day before the July 4th contest and amazingly came in 3rd for the poke entry and 7th in chili. 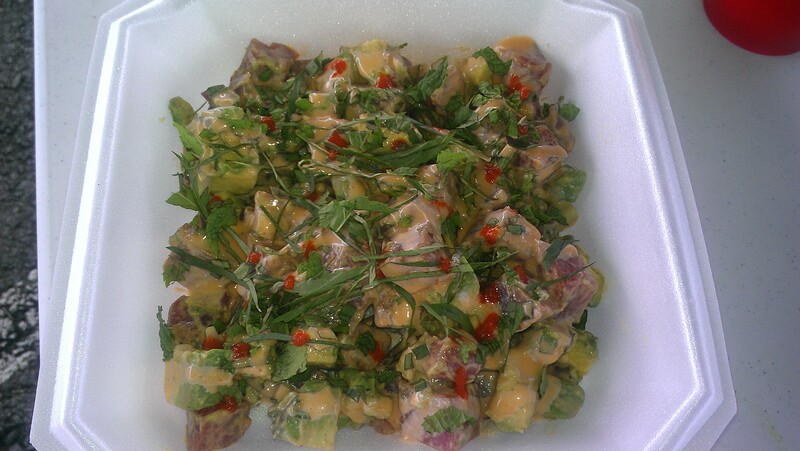 Not bad considering that I had never made poke before which is a Hawaiian-style seafood salad usually made from a variety of raw and cooked seafood. The most common version was tuna and there are many others made of wahoo, octopus, squid, clams, and so on. Many thanks to Crash and Lisa from VRM Pitcrew (my friends and former competitors from Arizona now living in Oahu in Hawaii) who helped me hunt down meat and supplies for the contest. 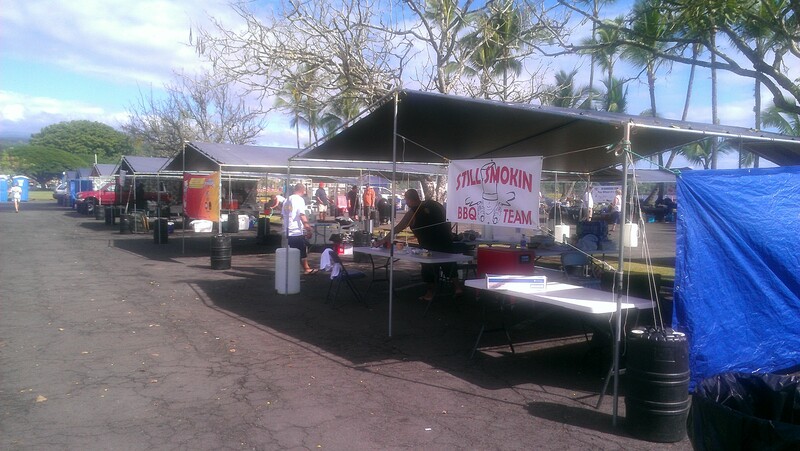 Crash and Lisa also run the Hawaii BBQ Forum. They took me to the Suisan Fish Marketin Hilo where I found some beautiful fresh blood red tuna loin. They took me next to Safeway where I found some mayo, Sriracha hot sauce, and California avocados so I decided to do a spicy mayo and avocado poke. 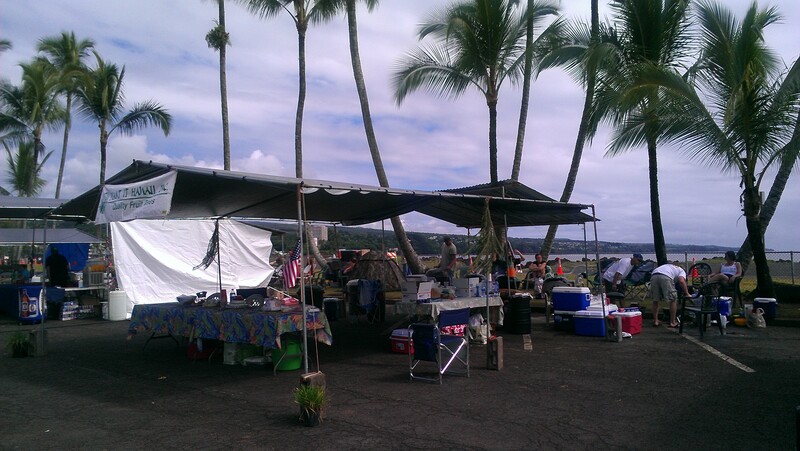 A Big thanks goes out to Rick from Hawaiian Arts Hilo for hosting this second year Hilo Bay BBQ event in the beautiful Hilo Bay Park. 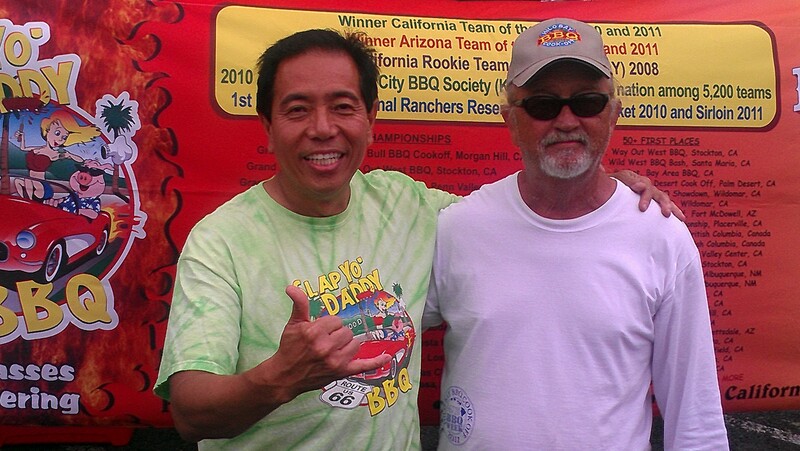 Congratulations to Tim Lemon of Y B Legal BBQ for RC and all of the teams out there that received calls. 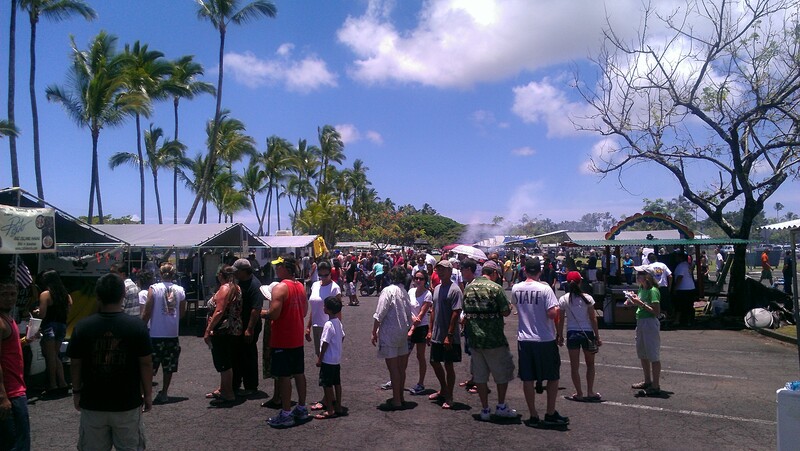 Thanks to the City of Hilo for hosting this event, Judy and Walker for being the IBCA officials, IBCA judges, and volunteers. Cooking by the beach. How cool is that! Congrats Harry!!! You deserve it!